When something’s not working as it should be, it’s natural to ask what the circumstances were that led to this development. Phobias are no different. In fact, the more of an impact something has on your life the more urgent the need seems to be to find out information about it. This is perfectly understandable as the physical symptoms of phobias are extreme by definition. The anxious feelings and panic attacks triggered by the specific feared stimulus can eventually become unbearable. 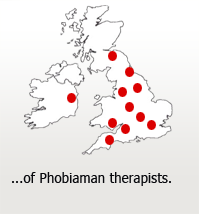 They can begin to affect the general mood and even the mental health of the phobia sufferer. This can lead to depression or obsessive compulsive disorder in some cases, requiring professional medical or psychiatric help. When it comes to treatment of phobias, there isn’t a great deal of choice in the NHS, so people sometimes seek medications from their doctor to help alleviate the symptoms. Others turn to alcohol or recreational drugs in an attempt to self medicate against the intense physical reactions. When researching the origin of phobias, the fist thing you’ll discover is they usually develop between early childhood and adolescence. Examples of phobias that children can be prone to include: Nyctophobia (fear of the dark), Teratophobia (fear of monsters), Arachnophobia (fear of spiders), Ophidiophobia (fear of snakes), Dentophobia (fear of dentists) and Aichmophobia (fear of needles). In fact, most young children go through phases of being afraid of these things, but they usually grow out of it. Phobias can develop later, but after the age of 40 it’s rare. Fear of heights and the complex phobias like agoraphobia and social phobia are unusual in children because their formation is typically more gradual, and normally develops during adolescence. Phobias are defined as an unrelenting, irrational fear response triggered by exposure to a feared object or situation. The different kinds of phobias all have similar signs and symptoms involving an intense state of anxiety leading to the sufferer avoiding the feared situations. A quick flick around the internet will demonstrate the understandable obsession with finding out what causes phobias (or any distressing mental disorder for that matter). 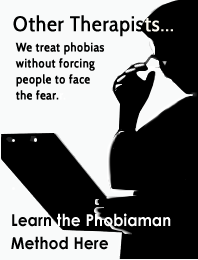 The cause of phobias is usually attributed to some external learning experience outside of the control of the phobia sufferer. The logic is easy to understand and goes something like this. Therefore “X” Must Have Caused The Phobia. The Traumatic Event – The favourite of psychology and psychotherapy professionals everywhere. A bad experience at the dentist leading to a fear of dentists, being bitten leading to a fear of dogs, a bumpy flight with turbulence and suddenly flying isn’t as fun anymore, an embarrassing 5 minutes in front of the class at school and the thought of public speaking leaves you shaking. In fact, all the common wisdom tells us any traumatic experience can lead to a phobia. This forms the basis of all the classical conditioning theories. However, our brains are a bit more complex than this. Very few of the phobics I’ve worked with actually got their phobia in this way. Witnessing Traumatic events. This is where someone observes someone else experiencing a traumatic event, and learns to be frightened from this “witness” position. It doesn’t even have to be real. The number of people seeking treatment for fear of water more than doubled after the release of the film Jaws. But real events also lead to phobias. It is estimated that the national fear of flying that led to the reduction in air travel and tourism after the terrible events of 9/11 reduced the output of the US economy by 0.75%. 0.75% might not sound like much but it’s the difference between a recovery and a recession. Cultural Causes (learning from others) – A few years ago there was a lot of debate about phobias being genetic. But it was all founded on the discovery that phobias are more common in women than men and was blown out of all proportion. The reason that phobias crop up more in some families is because the individuals within that family have learnt to be frightened from other members. Observing the emotional reactions of others is strong evidence of a threat as far as your brain is concerned. All these experiences may well have been the cause of the fear or anxiety you experienced at the time but, contrary to psychoanalytic theory, they are not the real cause of your phobia developing. After all, not everyone develops a phobia as a result of these experiences. . If we’re going to find find the real cause we need to take a look at how your brain works. Why do people have phobias? What you experience as reality, isn’t actually reality at all. It’s a representation of reality that your brain has created. Whenever you encounter anything, your brain decides what’s important about it and how it relates to you and everything else in our environment. It then creates the representation that you do experience. When you experience something for the first time your brain does it’s best to form the most accurate and useful representation it can with it’s limited experience of whatever it is. With further experiences, your brain refines this representation to make it more accurate and more useful. But if your brain doesn’t get any further experiences it can’t change this initial representation. This is what really causes phobias. If your brain thinks something is dangerous it won’t let you get the further experiences you need. As far as you brain is concerned it wants to keep you out of harm’s way. This is how you get stuck with the original fear representation – your phobia. And by focusing on the cause of your phobia all you do is keep reinforcing this original representation. This is why some people grow out of their childhood fears whilst other people seem to carry them with them all their lives. The people who grow out of them have taken their focus off the cause of phobias, and at some point allowed themselves to get other experiences. Here’s what I mean. If you suddenly find yourself in a river, the reason you are in there is not just that you fell in. The reason you’re in there is also because you haven’t managed to find a way out yet. Focusing on what caused you to fall in will not help you find a way to get out. The skills and knowledge that will allow you to get out have absolutely nothing to do with whatever lack of skills or knowledge caused you to fall in there in the first place. Finding the a way to get out is obviously far more useful than finding the reason why you fell in. In much the same way, the external phobia causes listed above will not help you with overcoming the fear. 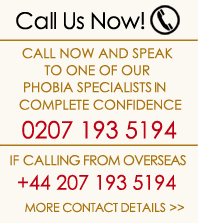 The causes and the effective treatment of phobias are completely different things. This principle of getting additional experiences is what allows the “Face Your Fear” phobia treatments to work. Cognitive behavioural therapy (cbt), systematic desensitization, and all the exposure methods, rely on this approach. But it isn’t always effective. The trouble is most phobia sufferers are reluctant to use them for obvious reasons.